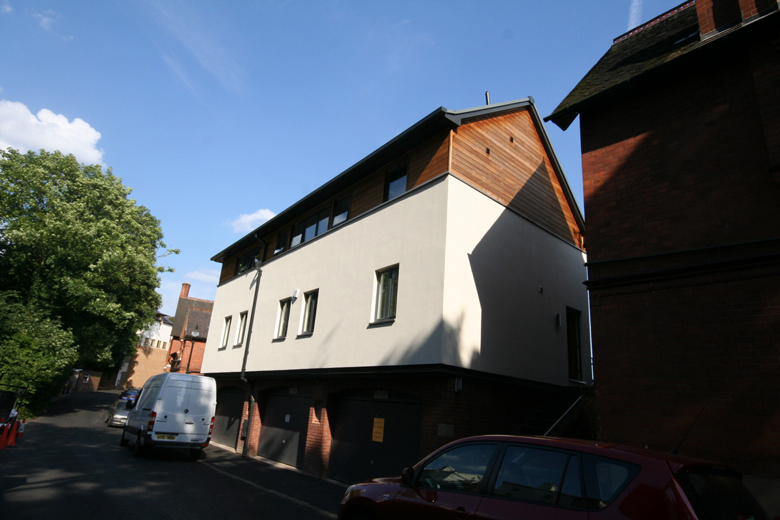 The scheme remodels a three storey house in Nottingham, by adding an extra storey to split the property vertically into a 4 bedroom house. 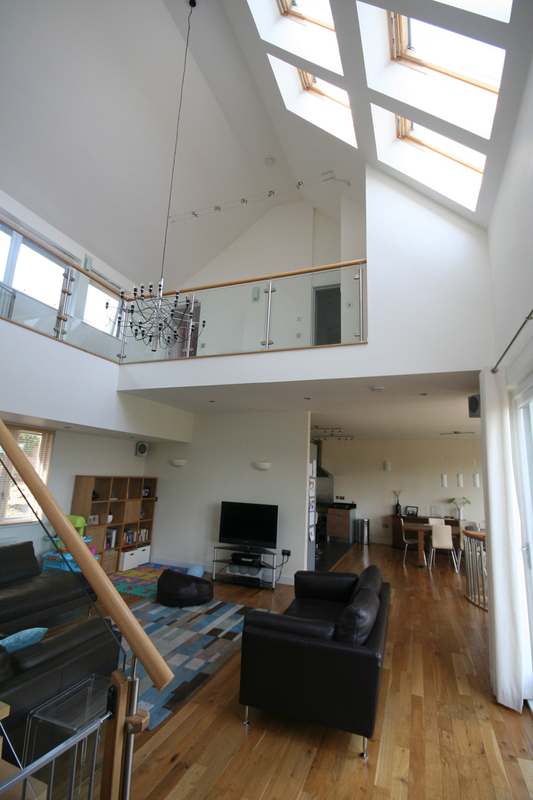 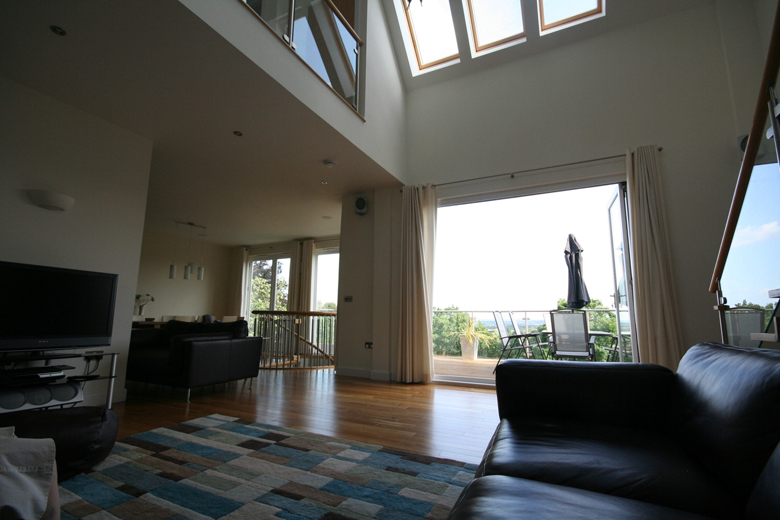 A double height living space leads to a south-facing balcony, with street level garages and a self contained one-bedroom flat beneath. 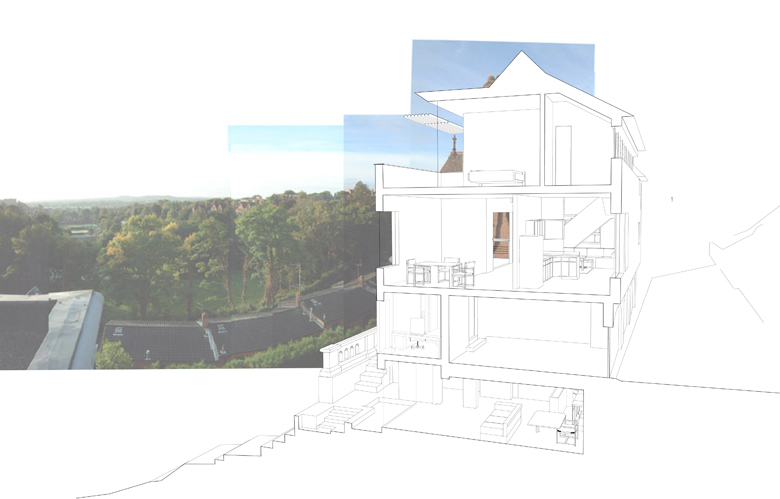 The spaces all take advantage of their elevated location with views over a leafy area of the city.